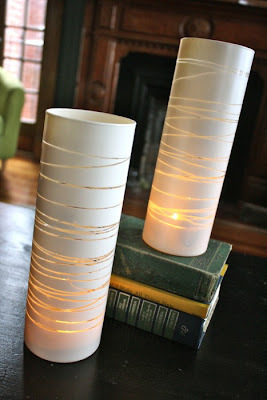 Silver Boxes: 10 Spray Paint Ideas! Heehee, isn't this printable too funny? Click here for source. 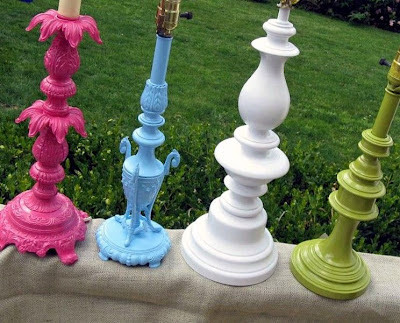 Look at these old lamps spray painted in fun colours! I know my friend, Sarah is going to love this chandelier! And purple too! 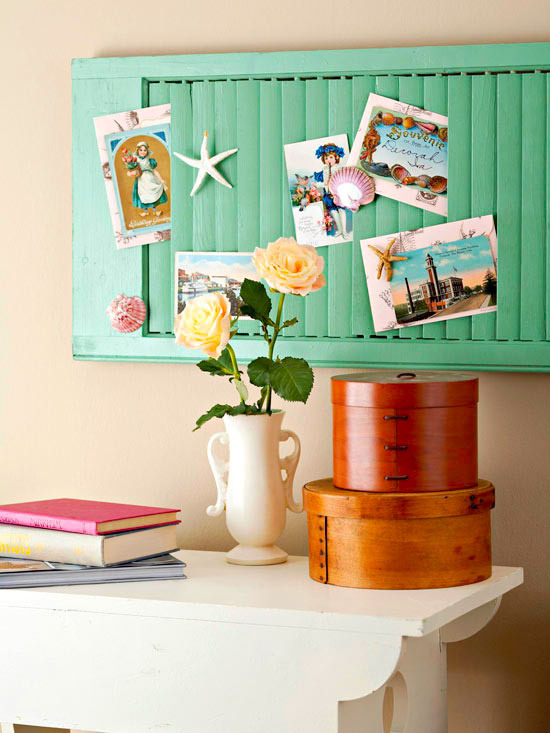 Spray paint an old shutter & use it as a note board. How lovely & easy is this?! 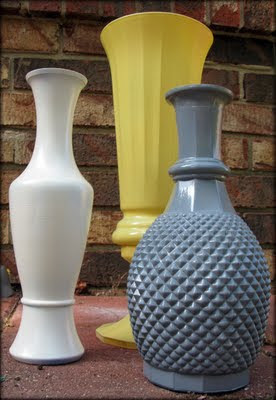 Glass vases with rubber bands & then spray painted. Remove the rubber bands when dry & you have a cool design! 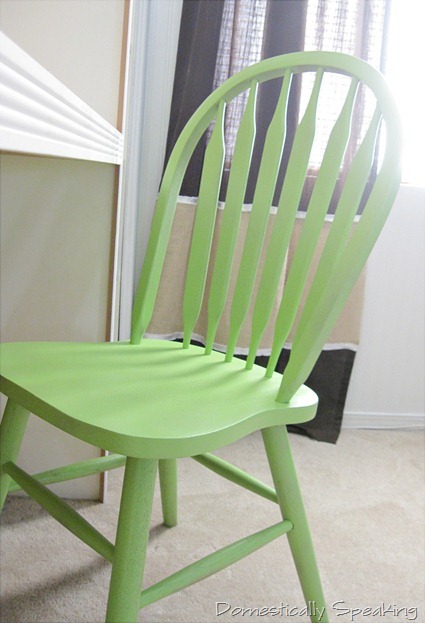 This is just a normal chair painted in such a cheery colour! 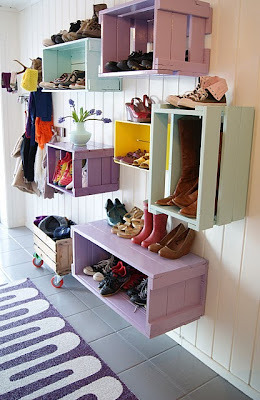 I love these fabulous wooden crates painted & used as shelves! 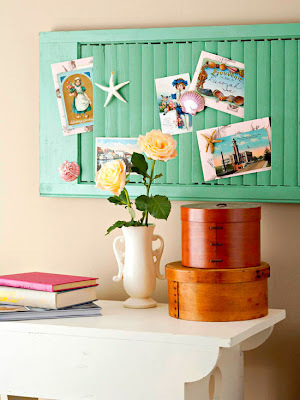 Nifty & thrifty! I'm in the market for a new pepper mill since ours broke. 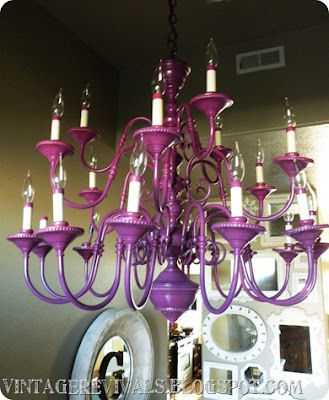 Now I'm thinking of just finding a thrifty one & painting it! This is pure happiness. Take old kitchy finds (from your basement or a thrift store) & spray paint them. 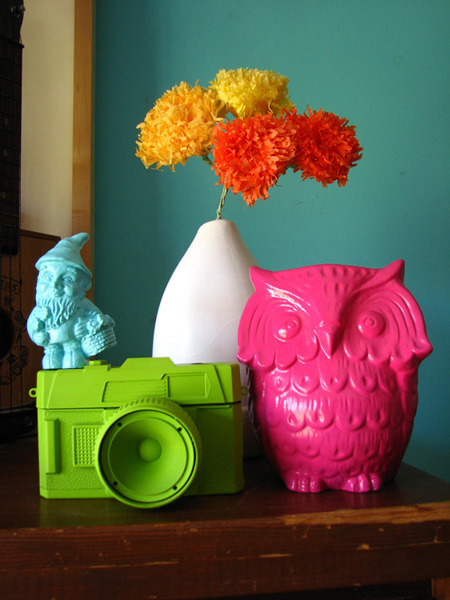 Taking ordinary items like glass bottles & spray painting them to help you beautify your home is pretty wonderful. More thrifty finds spray painted in gorgeous, trendy colours! Are you feeling inspired yet? Eeeee! I am just itching to get out my spray paint! If this is not enough, check out some of my previous spray painted projects. 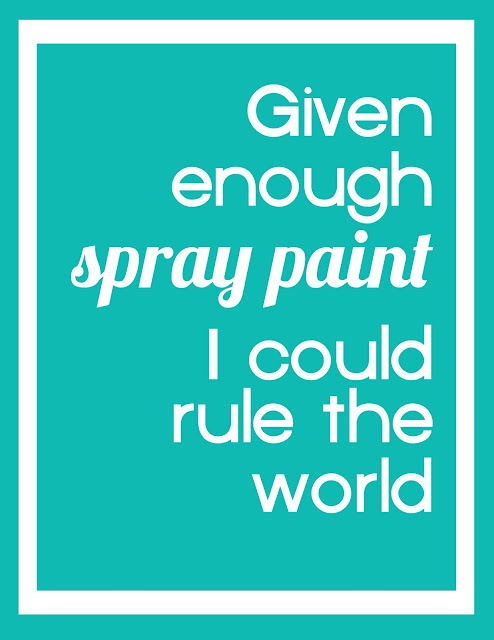 Do you have any painting projects in the plans for this weekend? Whatever you have planned, have a great one. See you next week! Great roundup! 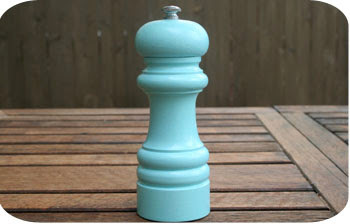 And maybe you were kidding, but I wouldn'tbuy a pepper mill from a thrift store- the oils released from grinding whole peppers can go rancid over time. It probably wont make you sick, but it can make everything taste bad.